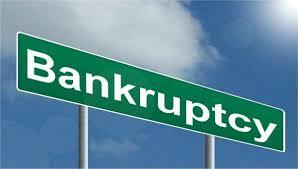 COMMENTS ON INDIAN COMPANY LAW: How a Creditor or a Lender can initiate a corporate insolvency Resolution Process under section 8 &9 of the Insolvency and Bankruptcy Practice Code and under Rule 6 of Insolvency and Bankruptcy (Application to the Adjudicating Authority) Rules 2016 to get the amount advanced to a wilful defaulter? 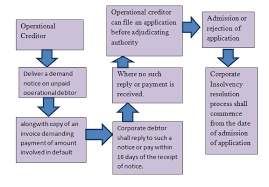 How a Creditor or a Lender can initiate a corporate insolvency Resolution Process under section 8 &9 of the Insolvency and Bankruptcy Practice Code and under Rule 6 of Insolvency and Bankruptcy (Application to the Adjudicating Authority) Rules 2016 to get the amount advanced to a wilful defaulter? In National Gas Agencies vs Janata Chemicals Private Ltd , the NCLT Mumbai bench considered the petition for declaring Janata Chemicals Pvt Ltd as defaulted debtor as it had failed to repay a sum of Rs 23,14,240/= under the IBPC filed by the petitioner. National Gas Agencies have claimed that various cheques issued by the Janata Chemicals P Ltd were dishonoured as the Janata Chemical’s bank returned those cheques with the remark “exceeds arrangements” which means that Janata Chemical’s bank account had insufficient funds to meet its cheques issued to National Gas Agencies. The operational Creditor also issued a statutory notice under Insolvency & Bankruptcy Code 2016 demanding the payment due thereby enclosing copies of invoices and the copies of returned cheques. The creditor also filed an affidavit expressing that the corporate debtor has not raised any dispute on the existence of debt and it has not received any communications from the corporate debtor regarding the existence of debt. The Corporate creditor has exposed that there is a debt as defined in Section 3 (11) of the I&B Code 2016. The Creditor also served the debtor a notice under section 8 (1) I&B Code 2016. On the basis of the above, the NCLT Mumbai bench accepted that the corporate debtor had defaulted in making payments to the creditor and the petition filed under section 8 & 9 is taken as complete and the Bench admitted the petition declaring Moratorium. 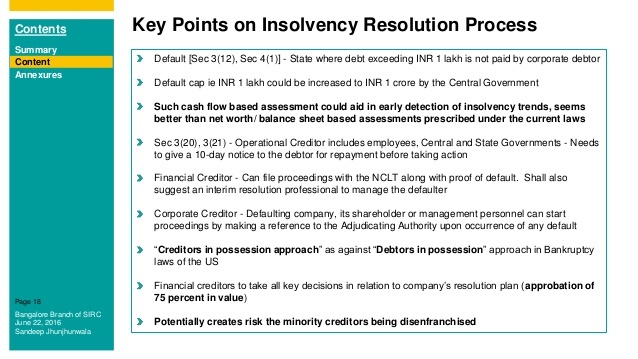 The NCLT Mumbai Bench has also made a public announcement of the Corporate Insolvency Resolution Process which shall be commenced immediately as explained under section 13 of the Code. National Gas Agencies vs Janata Chemicals Private Ltd case clearly demonstrates a creditor can approach the NCLT if his debtor fails to pay his dues or try to avoid the payment to the creditor by following the procedures prescribed under I & B Code 2016.